A first-year anthropology student at CSN will investigate and analyze human bones at the University of South Alabama this summer as part of a National Science Foundation grant. Silvio Mirabel Torres, 20, was one of eight students nationwide selected to help search from clues in the two skeletal collections from the Middle East. The bones date back to the Bronze Age and are thought to have differing characteristics from other skeletal collections in the same time period. The work this summer is aimed at helping to explain why these bones are different. It’s a rare opportunity for a freshman or sophomore student and an even more rare opportunity for a community college student. Often, internship opportunities like this one are limited to students studying at four-year universities, said CSN anthropology professor Diane Hardgrave. Even when they are not limited to university students, community college students often feel discouraged from applying. She doesn’t know of any other students at CSN who have been selected for a NSF grant. An immigrant from Cuba, Mirabel Torres had been in the United States for less than a year before enrolling at CSN for the fall 2018 semester. He initially was pursuing a degree in journalism and communication, but enrolled in an introductory anthropology course to fit a science requirement and became hooked. 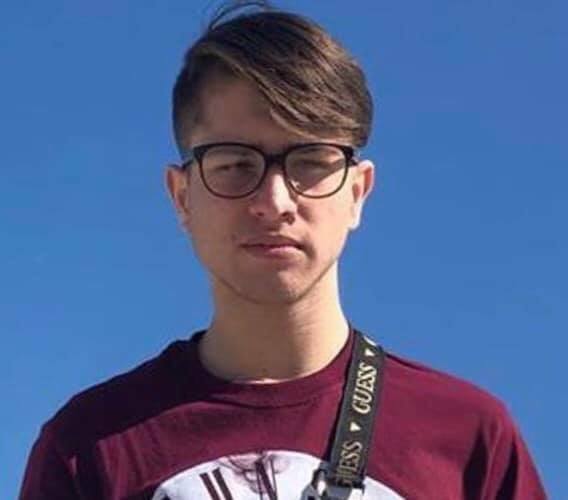 Mirabel Torres plans to complete his associates degree at CSN and then transfer to UNLV to graduates with a bachelor’s degree in anthropology.